I am Bjørn Smalbro of Tequila.dk and this is a more personal interview with one my great inspirations, Mike Morales of Tequila Afficionado. When I began my journey into the world of tequila and mezcal in 2010 I was very much an amateur. In 2010, I mainly made my living doing web design and I had a friend who quite suddenly had taken an intense interest into tequila. Having never tasted tequila before, and having never even heard about it before, I tried La Cofradia’s blanco, and it was great! On an impulse, I started, what was initially the TequilaOnline webshop, but is now Tequila.dk. In those first years, I was looking frantically around the internet on my quest to figure out what kind of mess I had gotten myself into, and that is where I first found the writings of Mike Morales – self proclaimed tequila journalist. 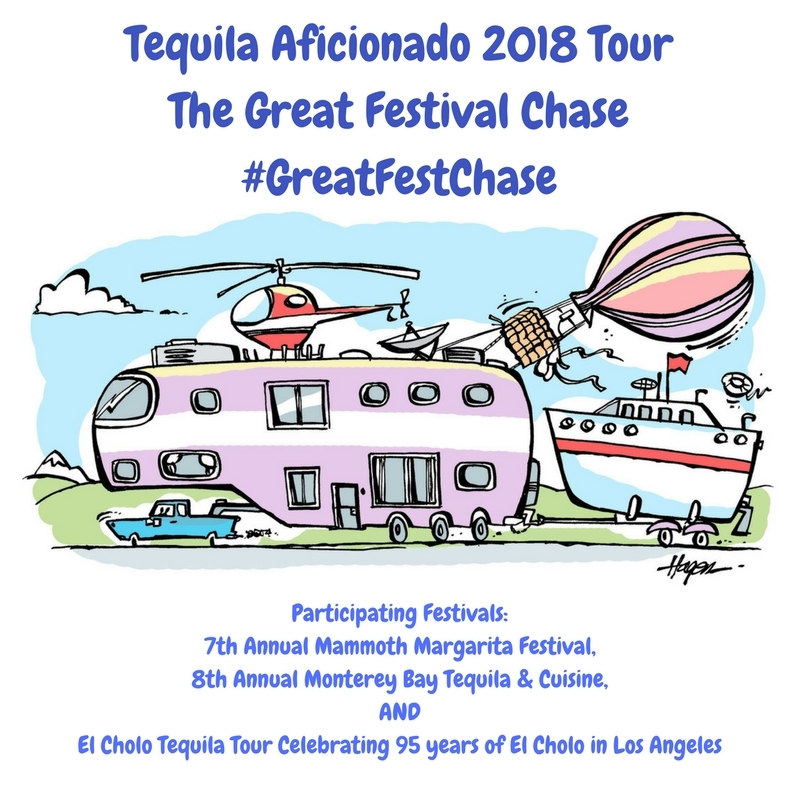 My tequila webshop is still alive and kicking, and Mike Morales has built an empire of tequila/mezcal information & advertizing at TequilaAfficionado.com. I’ve always wanted to know a little more about the man himself though, and now the time has come! Q: Who is Mike Morales? 1/3 Owner and CEO of Tequila Aficionado Media (@tequilaaficion). Reporting exclusively on the trends, producers, insiders and brands in agave spirits. Co-founder of Tequila PR with Tequila Aficionado’s CMO, Lisa Pietsch (@lisapietsch). And, from my personal Instagram: Agave Spirit & Cigar Aficionado, cat lover, and Bro-Dad. A: At University, I studied “Human Resources” and “Small Business Management”, with a minor in “English”. Hence, I can put two words together to form a sentence. Q: What made you take an interest into tequila? 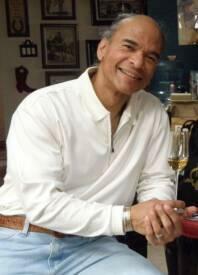 A: While living in Albuquerque, New Mexico, I attended a popular yearly wine show with friends. When we returned home later that afternoon, we realized that we all enjoyed tequila and mezcal, but at the time, there were no such events for these spirits. After brainstorming, we came up with an idea that in 2001 became the New Mexico International Tequila Experience. It ran for four successful years. I’ve been hooked ever since. Here is a summary of the "The 1st Annual New Mexico International Tequila Experience™" back in the days of 2001! Q: Where are you based geographically? A: Now, I live in San Antonio, Texas, USA. 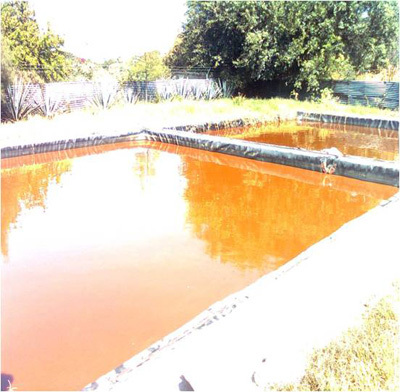 Q: One of the first articles I remember you wrote was about waste water from tequila production. I have an impression that your approach to the industry was perhaps of a different nature than it is today. Has your view on what the industry is changed over the years? A: They say that when you visit the Town of Tequila, it will change your life. It did. Writing my report, Vinazas: The Corpse of the Spirit of Mexico, was a second life changer for me. It showed me the seedy underbelly of the Tequila Industry that goes unseen by most tourists and tequila aficionados. We are enchanted by the romantic images of tequila that are carefully and deliberately protected, projected and nurtured by the machine that is the Tequila Industry. It was after that that I became interested in the whole marketing side of agave spirits. I now say that it is our job at Tequila Aficionado Media to help you to see beyond the hype. Q: Tequila Aficionado has grown as an influencer in the years I have followed it. I am super impressed by your small tasting videos. They are to the point, funny, informative, informal and never pompous. Are they difficult to set up and make? A: Thanks for the kind words. I’m glad that you enjoy our Sipping Off The Cuff© videos. They truly are a labor of love for us, and now, for our team of tasters who we cheerfully refer to as “Tequila Jockeys” or TJs, a la vintage MTV’s VJs. Other than the technical glitches we experience due to the occasional interruptions in Internet service, taping them isn’t much of a problem. An example of Mike Morales fine and informal tasting videos. The challenge is in keeping them to at least 15 minutes in length without over analyzing to death the particular agave spirit brand that we’re sampling. Post production can often be tedious, however. We’re constantly on the lookout for newer software that makes that part of the video production less of a burden. Q: Tequila Aficionado has an impressive range of awards by now. Brands Of Promise© and the actual awards. Can you tell how much it means to a brand to receive an award? We realize that most start up labels don’t have the huge marketing budgets that the more established brands have. Therefore, unlike other awards competitions, we never charge fees, even for the use of the medal graphics. The only stipulation is that they send samples to us for Sipping Off The Cuff©. We prefer this arrangement. Each review is completely fair, honest, and above reproach. There is never a question as to whether a particular brand has paid for a favorable review. Once these start ups see their produced video, and the care and depth of our analysis of each expression, they often feel that their efforts have been validated and that they are on the right track. Recognition, especially in a brand’s early stages of existence, is vitally important in what is often a brutal booze business. Q: Some brands seem more keen on export and US sales than others. Is Tequila Aficionado mostly about brands being exported to the US and internationally? A: Not really. We are always seeking craft agave spirits, wherever they are. Because the US is the largest consumer of agave spirits, most brands intend to come here, eventually. Every once in awhile, though, a craft brand emerges that is sold only in Mexico. If they decide to supply us with samples, then, the challenge is getting the bottles to us for review. America’s state and federal laws can be quite tricky. Q: Seen from over here in Denmark, I have the impression that you have tasted really, really many brands. I often tell people that I have the largest collection of empties in the world! I use them as a ready library of brands, past and present. From a marketing standpoint, I find it fascinating how brands and their packaging have evolved over the years. Q: What are your thoughts on organic tequila? I have just recently heard David Suro (of Siembra Spirits) telling that products being organic from birth to grave, did not exist. A: I’ve had this conversation with David before. I’ve also heard from other brand owners who are agave growers, that it’s impossible to grow healthy plants without the use of pesticides during some portion the agave’s growing cycle. On the other hand, Dr. Adolfo Murillo, producer of Alquimia tequila, has been using organic agave growing protocols since the beginning. He has taught other growers his techniques, too. The question lies in who the organic certifying agency is that a brand hires to certify the agave and the juice as organic, and whether they are reliable and reputable. Q: Tequila has this absolutely terrible image of being a party spirit to be drunk with salt and lemon. Ian Chadwick has tracked the “salt and lemon thing” down to some campaigns Cuervo ran in the seventies, which sounds about right. Do you think that image will ever disappear or be replaced by a more balanced view? The Tequila Industry has been trying to clean up its image since the introduction of the Riedel Ouverture Tequila glass in 2001. Sadly, there are still some brands that promote the “shots lifestyle,” but their existence is doomed if they don’t realize that this image is passé. Education of the masses on tequila as a fine sipper should still be at the forefront of any tequila promotion program, however. Q: The agave crisis is a fact and the major spirits companies are trying to fortify their production line with large purchases of land, water rights and other, lesser brands. Generally speaking we are watching capitalism doing its job, but will it affect the tequila market in any long term or structural way? With the introduction of more tequila and mezcal brands onto the market than ever before, and the ever increasing global demand for them, things could get hairy. The implementation of the diffuser, which can efficiently use agave as young as 3 and 4 years old, could leave the open market lacking enough mature agave, later down the road. As a result, the historical trend of scarcity and glut that defines the agave market might last longer than projected. Q: The tequila industry has recently gotten some very major companies investing enormous amounts of money into the better end of the spirits – the 100% agave/craft spirits. Sales within the category has grown dramatically and with the Chinese market opening up, there seems to be even more sales to come. But tequila also has a Denomination of Origin and agave production is way behind the demand. What are your views on this development – does it pose a danger to an industry which may “overheat”? A: The danger of the Industry overheating is very real. The true agave aficionado will always seek authenticity, however. And there will always be producers who manage to keep Tequila and Mezcal real and authentic. That said, it’s time to explore and embrace other agave spirits like sotol, bacanora, raicilla and others, with or without a Denomination of Origin. Mezcal has seen an exceptional growth in later years and has gained a lot of media attention. Some of the attention is probably due to the “zeitgeist” in the sense of the interest taken in small, unique family brands with strong stories. Some attention comes from the actual tasting experience. Q: What is your stance on the mezcal industry? Is it merely an agave spirit which will become tequila in some 10-15 years? The Mezcal Industry, like the Tequila Industry, and the powers that run it, are not perfect. The inclusion of other Mexican states into the Denomination of Origin for Mezcal is a step in the right direction. There are rumblings that other states have petitioned the Tequila Industry to also be included in the DO. This would certainly help to alleviate the agave crisis. It would prevent the theft of agave from other growers, and eliminate the use of plants to make tequila from outside the Denomination of Origin. Q: Tequila has not always tasted like tequila. 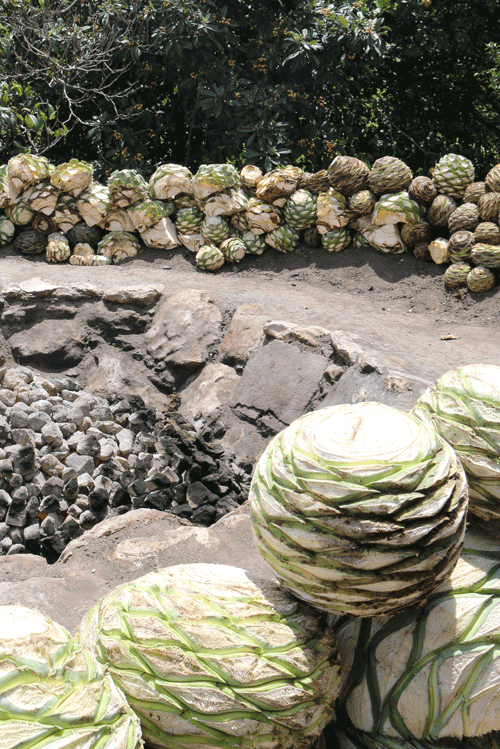 Once it was made like some mezcals are today – in an earthen oven and with tahona. High demand made the tequila producers abandon tahona, earthen ovens, etc., and move on to more and more effective production methods. In that process, the original smoky flavor is a vital part of the mezcal experience. Do you think they will be able to scale and keep their identity? The delineation and definition of segments within the mezcal category as Ancestral, Artisanal, and Industrial should keep everybody honest. Some are afraid that such segmentation will ultimately confuse the uninformed consumer. The key lies in more transparency by the brand and truth in labeling when describing their methods of production. Both of these issues need to be addressed, sooner than later, by the respective governing bodies of Tequila and Mezcal. Doing so would thwart such confusion and encourage trust from the consumer when making his or her buying decisions based on price. Do you have any three favorites? A: Ha! If I had a dollar for every time I’ve been asked this question, I’d be a wealthy man! A: For many years, Tequila Aficionado was simply a hobby and a labor of love. It wasn’t until Lisa Pietsch joined us as Chief Marketing Officer and restructured the business, that Tequila Aficionado Media has lived up to its potential. Being a vital part of our present and future, I have asked Lisa, here, to answer this question, in-depth. Lisa Pietsch: I became a 1/3 partner at Tequila Aficionado with Alex Perez and Mike Morales in March 2013. I was a big fan of tequila and a little frustrated with the lack of information publicly available. Forums seemed really cliquish at the time, and it was very much a boys’ club. Tequila Aficionado had experts that I could learn from, and I had skills in social media and marketing they needed. Coming aboard became a pivotal point in my education as a tequila drinker, and Tequila Aficionado’s as a recognized authority. And launched our own partnership with the creation of Tequila PR & Marketing. In 2018 and beyond, you can expect to see a Tequila Aficionado Catador Course offered online and in person. The online release is expected to roll out in late 2018. We’re partnering with some savvy restaurateurs to offer weekend courses in select markets. We’re launching a small press in 2019 to publish and promote agave-centric authors. Publishing projects pending include a coffee table book by an up and coming photographer, a course on agave spirit marketing, several novellas in the telenovela style by a promising thriller author, and several books by Mike. All of these will be available in both English and Spanish. We’ll also begin expanding our tequila tours to serve our international audience. We’re followed in 189 countries, now. In addition to U.S. tours, we’ll begin working in tours to Mexico, the United Kingdom, Europe, Australia and New Zealand, and the Far East. Perhaps one day, we’ll even tour Denmark and Sweden?